We all know almonds make a great snack—in fact, we’re eating some right now—but what you may not know is exactly how many almonds are in the perfect portion. Here, we’ll make it easy for you. An ice cream scoop. Sweet. A shot glass. Bottoms up. A 3"x3" sticky note. Note to self. A baby food jar. Fuss-free measuring. A ¼-cup measuring cup. Everyone’s got one. 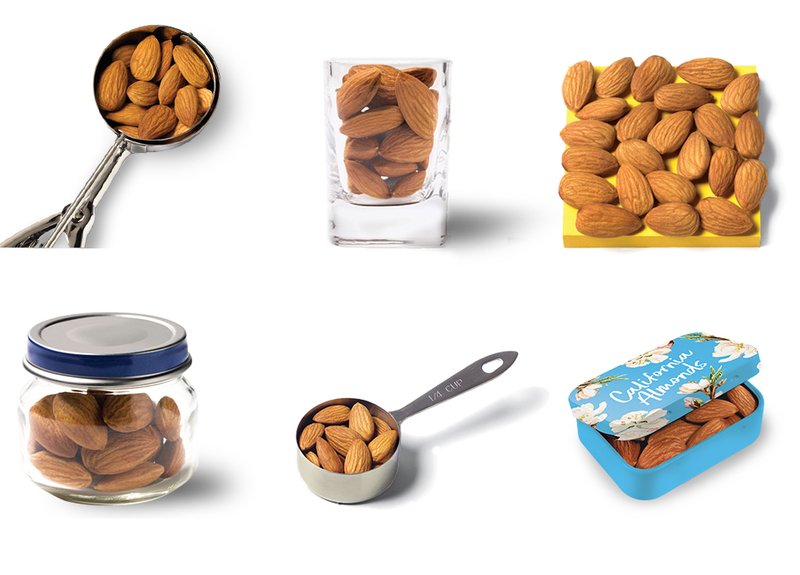 An almond tin. Get your own. A 3" x 3" sticky note. Note to self. A ¼-cup measuring cup. Everyone`s got one.